Manuel Neuer will have to wait for his 75th Germany cap, with injury keeping him out of the he World Cup qualifiers against the Czech Republisc and Norway. 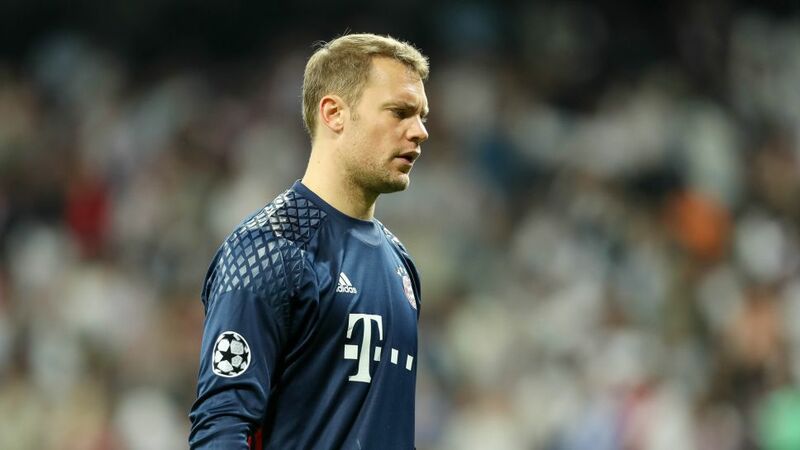 Bayern Munich’s Germany No.1 Manuel Neuer is not match fit following a foot injury, though 15 Bundesliga players have made Joachim Löw’s squad for the FIFA World Cup qualifiers against the Czech Republic and Norway next month. Die Nationalmannschaft coach Löw has rewarded many of those who secured Confederations Cup gold in July, with no fewer than 17 players from the squad in Russia retaining their place. Schalke midfielder Leon Goretzka, RB Leipzig striker Timo Werner and Borussia Mönchengladbach forward Lars Stindl – joint-top scorers last month with three apiece – are among those looking to build on burgeoning international reputations. Hoffenheim pair Sandro Wagner and Kerem Demirbay miss out, though, alongside Hertha Berlin left-back Marvin Plattenhardt.